I will be direct: Singaporeans pay the highest university tuition fees, we receive one of the least scholarships, as compared to the other high-income countries and we also have one of the fewest students who are able to enroll into universities. Welcome to Uniquely Singapore. 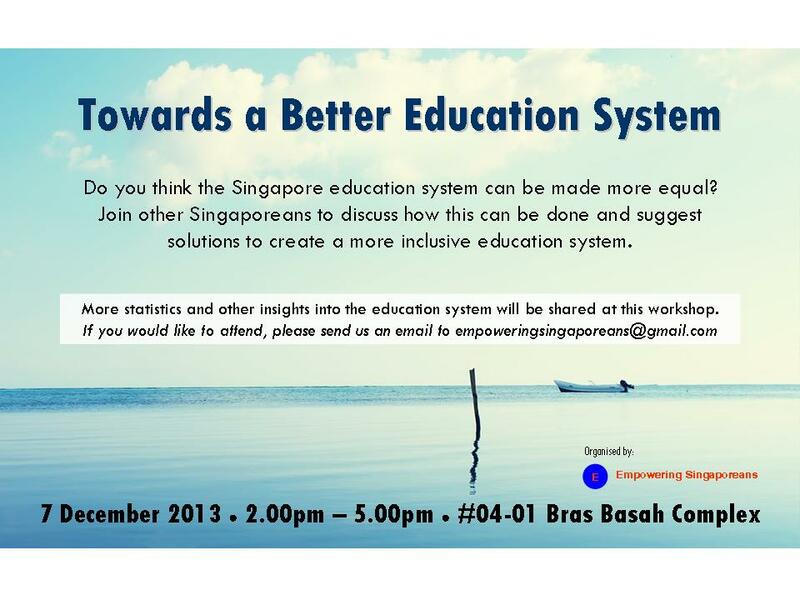 Last week, I had written about how the Singapore education system is unequal. A student who goes to a “top” school will have an almost indefinite chance of entering one of the three local public universities in Singapore. However, for a student who goes to a polytechnic, the chances of going into these universities will be next to zero, literally. 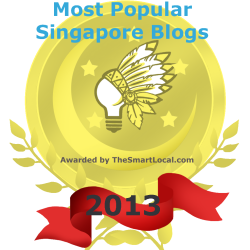 Why are these statistics so determinate – is this a intended policy decision to delineate a segment of Singaporeans? Prime Minister Lee Hsien Loong might claim that, “every school is a good school”. He had also said that, “we value every child and that we want to give every person the best possible chance to start off well in life”. But as we have seen, the students in Singapore have the lowest progression into secondary education, as compared to the other high-income countries, and countries which have done well in the PISA (Programme for International Student Assessment) rankings. This might also be because Singapore spends the lowest on education as compared to these countries, and we also invest one of the lowest in our primary and secondary students. How then is every school a “good school” and how does every Singapore have “the best possible chance to start off well in life”? PM Lee might also say that he doesn’t believe in having a, “closed, self-perpetuating elite”, but what do the statistics say? We have a clearly elitist and unequal education where a large proportion of our Singaporean students fall out of the education system. As was also discussed, most students who enter public universities are more likely to have come from high-income households and students from low-income households in Singapore have a lower chance of going into the public universities. So, last week, I have showed how our education system is unequal, but do you know that even within the public universities, the education system is highly unequal and elitist as well? Let’s take a look at the university tuition fees. What you will see today will further shock you. Of the three public universities, the National University of Singapore (NUS) charges its students between S$7,650 and S$23,050. Students in the Nanyang Technological University of Singapore (NTU) are made to pay between S$7,650 to S$30,000. And students at the Singapore Management University (SMU) have to pay between S$10,900 to S$12,050. So, is it perfectly normal for university students to pay such high fees? If we want to get a “high” education, we should be willing to pay more, right? And the almost annual increases should be accepted if we want to have a decent university education, right? How much we have been deceived. On average, if you include the enrollment of the students, I calculated that the average university tuition fee is about S$8,760. In US dollars, this would be US$7,016. And how does Singapore compare with the other high-income countries? You guessed it! 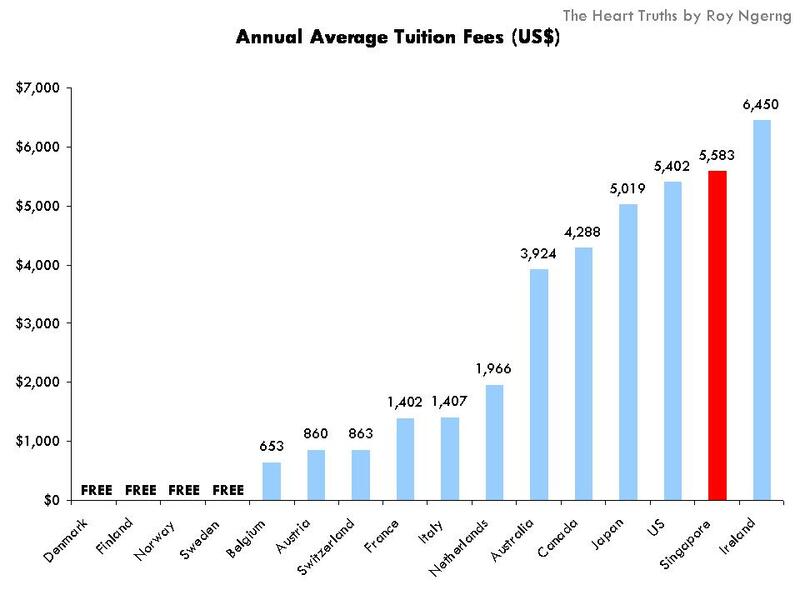 Singaporeans pay one of the highest tuition fees among the rich countries – the second highest in fact, after Ireland (Chart 1). Even in the United States and Australia, their students there only pay US$5,402 and US$3,924 respectively. 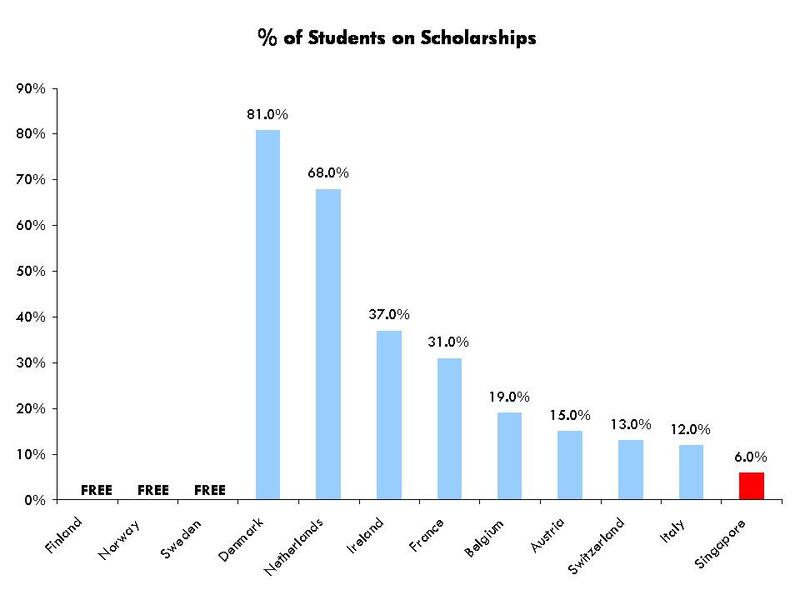 Not only that, for countries like Denmark, Finland, Norway and Sweden, students do not even need to pay tuition fees! Perhaps, we might say – Singapore has the second-most expensive university tuition fees among the high-income countries, but I am sure the government helps us! OK, let’s take a further look. 14% of All Undergraduates Are On Scholarships? So, again, I did a bit more calculation – the total undergraduate enrollment in the NUS and NTU is 49,463. If 14% of the undergraduates are on scholarships, this would mean that 6,925 students would be on scholarships. Since one-third of the scholars are locals, then two-thirds would be foreigners. 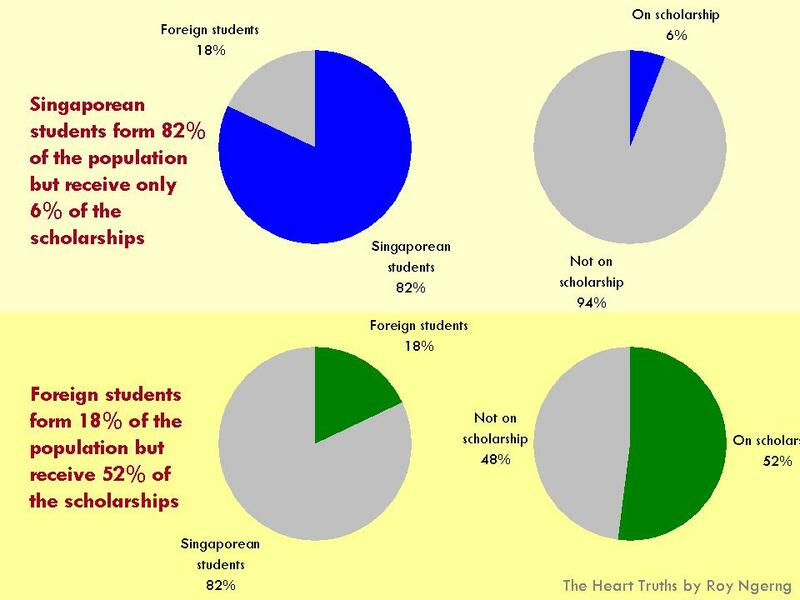 This would mean that there were 4,617 foreigners who are on scholarships, and only 2,308 Singaporeans on scholarships. According to the MOE, “the MOE has capped the number of International Student (IS) at 20% of the total intake, while Permanent Residents (PRs) form only a small proportion. For example, in AY2011, IS comprised 18% while PRs were 4% of undergraduate intake.” So, if 18% of the students are foreigners, this would mean that there would be a total of 8,903 foreign students. If there were 4,617 foreigners on scholarships out of the total number of 8,903 foreign students, this would mean that 52% of the foreign student population is on scholarships! But wait a minute, didn’t the MOE said that 14% of the undergraduates at NUS and NTU are on scholarships? Brace yourself now – the total Singaporean (and PR) undergraduate population is 40,560. And if only 2,308 Singaporean students are on scholarships, as was calculated above, this would mean that only 6% of Singaporeans are on scholarships! So, the MOE might claim that 14% of the undergraduates are on scholarships, but most of the scholarships are not going to Singaporeans! 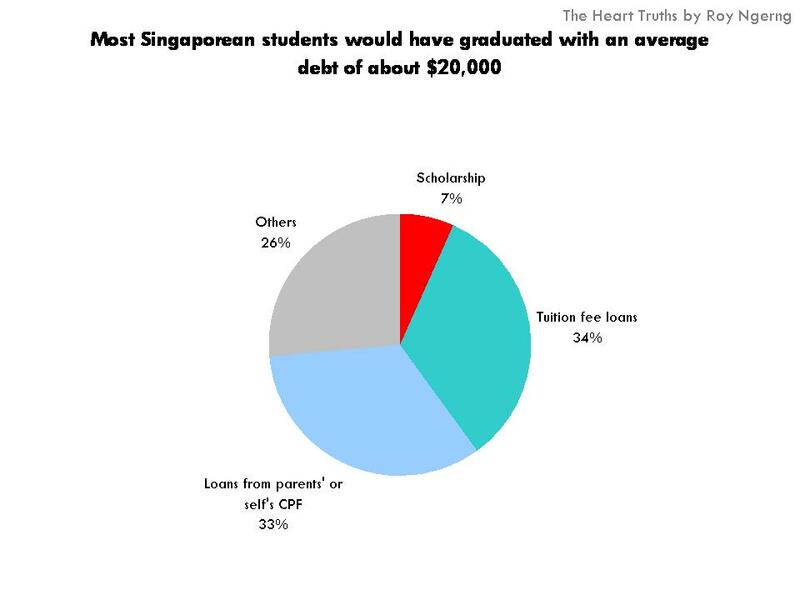 In fact, only 6% of Singaporeans are able to receive scholarships! How does this compare to the other countries, right? Maybe it’s not that bad, right? OK, let’s see. 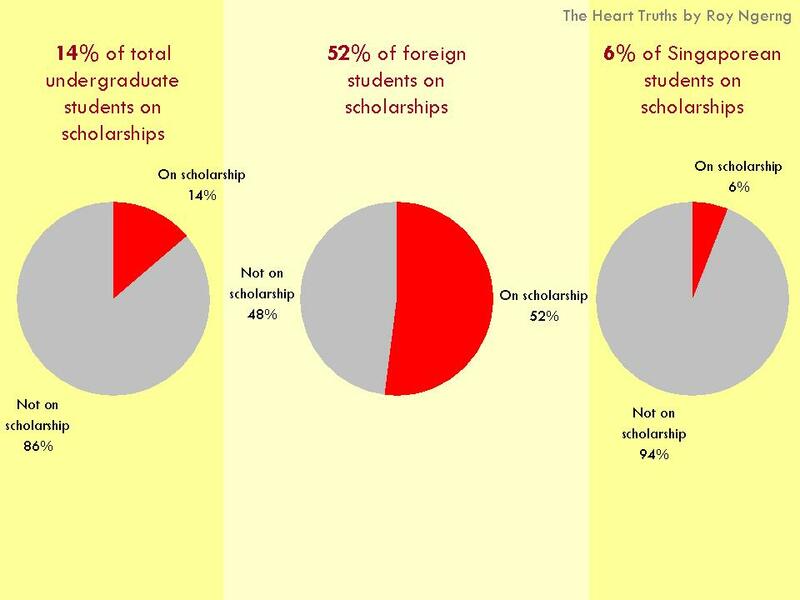 When compared the other high-income countries, for our Singaporean students, we have the lowest proportion of students who are able to go on scholarships (Chart 4). Last but not least, because Singaporeans are made to pay one of the highest university fees among the high-income countries and our students also have the lowest proportions who are able to receive scholarships, is this the reason why we also have one of the lowest enrollment of our students into university education (Chart 5)? Maybe if I give you the complete big picture, the shock will be even greater. 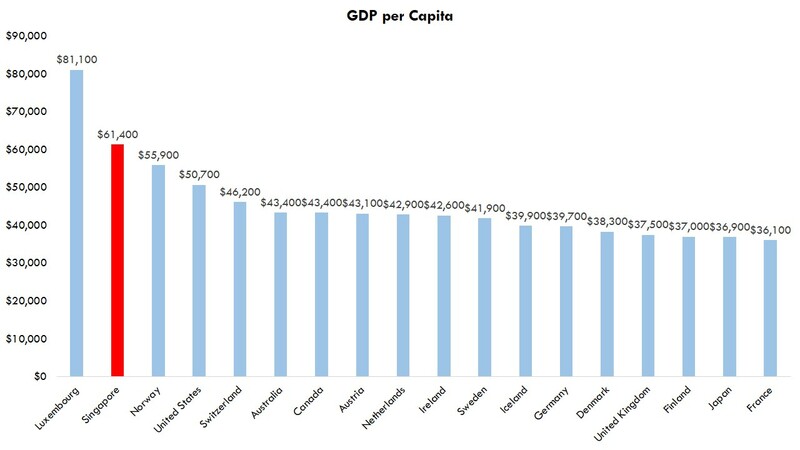 Do you know that Singapore happens to be one of the richest countries in the world, by GDP per capita (Chart 6)? We have one of the largest reserves in the world – the 11th largest (Chart 7). 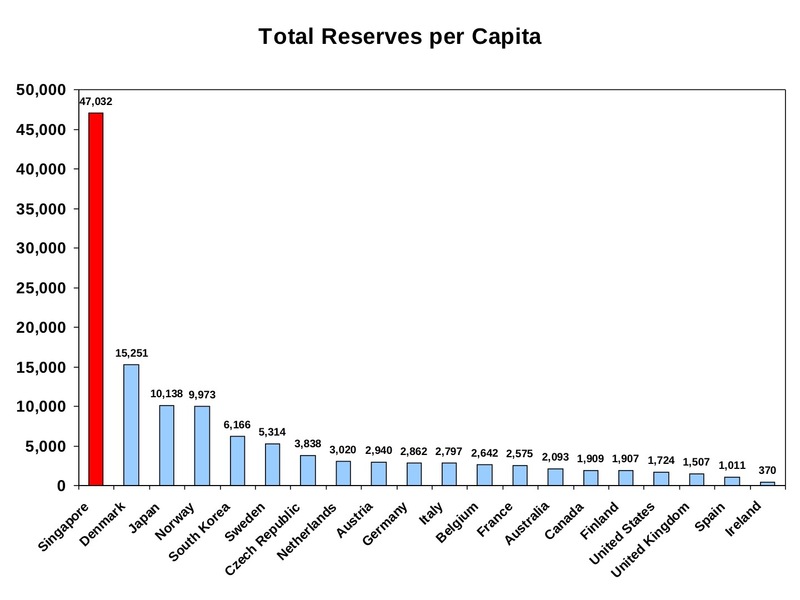 We also have the largest reserves per capita in the world (Chart 8). 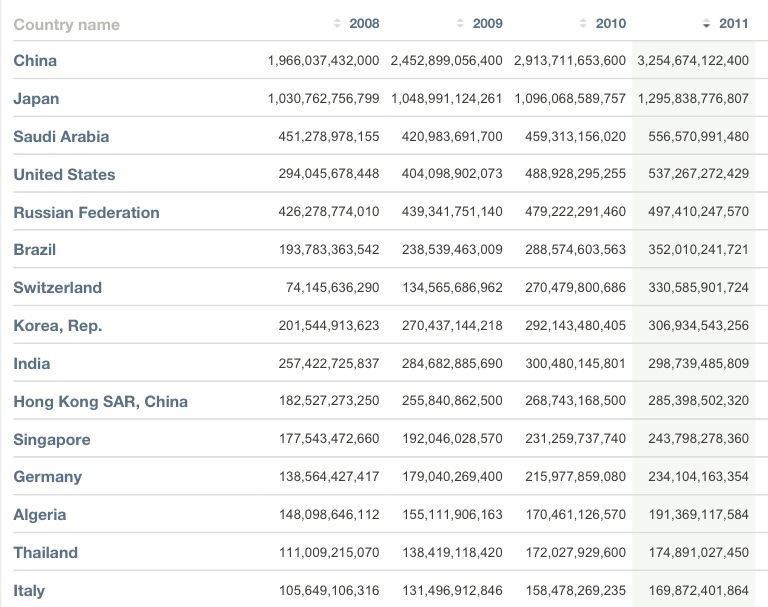 According to Mr Leong Sze Hian, Singapore also has the 7th largest surplus in the world. 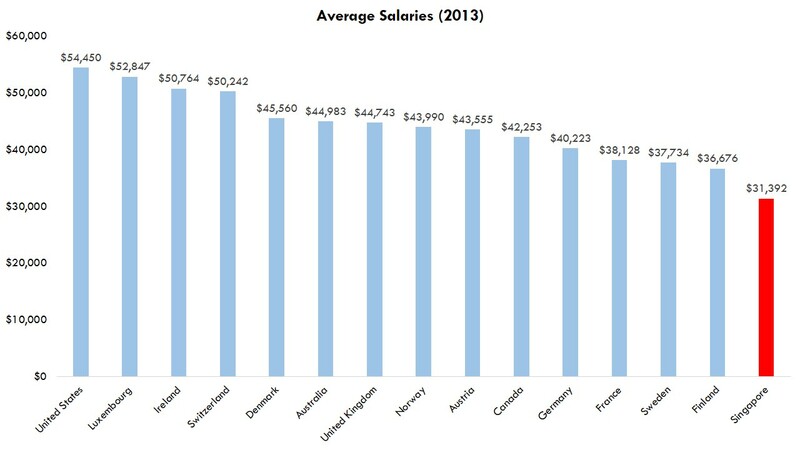 In the meantime, Singaporeans are actually paid the lowest wages among the high-income countries (Chart 9). Chart 9: BBC Global migrants: Which are the most wanted professions? So, let me put things into a bit of perspective here – Singaporeans are given the lowest wages but yet we are expected to pay the second-highest tuition fees for university. Not only that, our students have the lowest proportions who are able to receive scholarships. Yet, we have one of the richest, if not, the richest government in the world, and the PAP government doesn’t want to give more to help Singaporeans achieve a higher education. But, when our students graduate, they are made to receive the lowest wages among the developed countries, to pay off the highest tuition fee loans. Not only that, Mr Leong Sze Hian had estimated that only 1 in 8 Singaporeans are able to meet the CPF Minimum Sum in their CPF, which means that the loans that students take on their parents’ or their own CPF becomes an additional burden. By now, you can clearly see that first, the Singapore education system is highly unequal where only 30% of the students have the highest chances of entering the university. But not only that, when they enter university, only 6% of the Singaporean students are able to receive scholarships, even though more than half the foreign student population are able to receive scholarships. In the end, much fewer of our students are able to enter university, as compared to the other high-income countries. 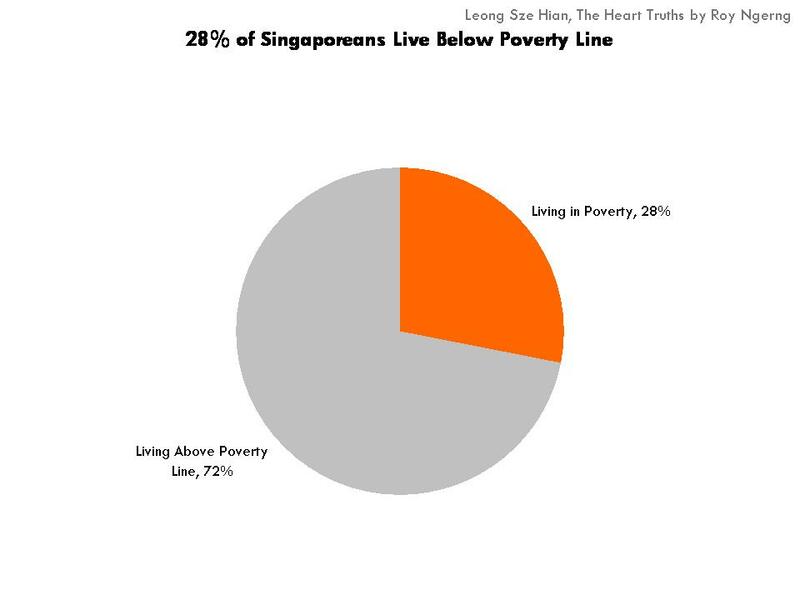 Yet, why does the Singapore government believe that they do not need to look out for the needs of Singaporeans when there is an estimated 28% of Singaporeans who are living in poverty (Chart 11)? 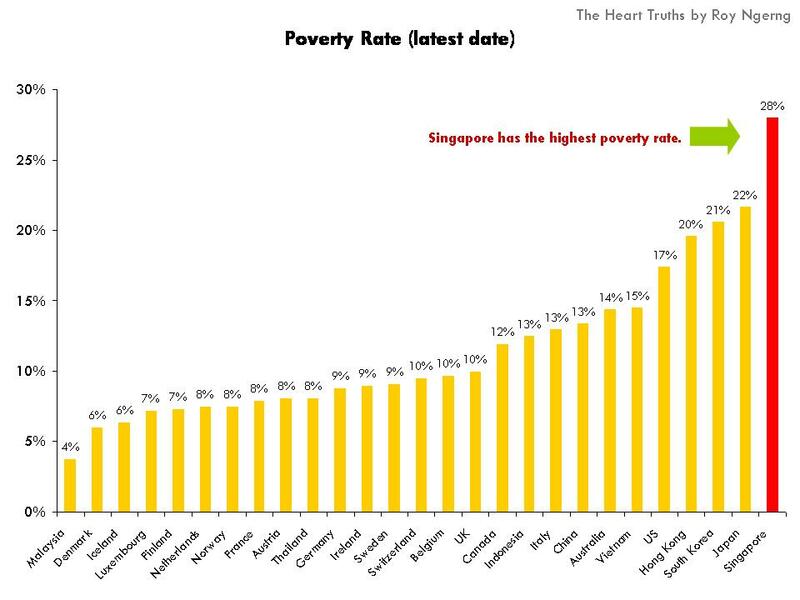 Also, the poverty rate in Singapore is much higher than in any of the high-income countries and countries in the region as well – countries which the PAP government is awarding scholarships to (Chart 12). So, why does the PAP government allow university tuition fees to keep increasing yet not provide more financial support for Singaporeans? Why does the PAP government allow Singaporeans to sink into debt, yet pay Singaporeans the lowest wages, and not put in a minimum wage to protect the wages of the workers? Why does the PAP government insist on earning off the people of Singapore, instead of allow Singaporeans to receive an equal education and one where all Singaporeans have equal access to? Why are some students intentionally kept out of university? Why are students made to shoulder a heavy burden of education, when the PAP government does its minimal to ensure that “every person (has) the best possible chance to start off well in life”. Then what does Lee Hsien Loong means when he said that, “we value every child”? Our children are being disadvantaged early on in life. When you start to think that your lot in life might be caused by the PAP government, it is not a suspicion. It’s the reality – the statistics have confirmed your worse fears. Lee Hsien Loong might say that he does not believe in having a “closed, self-perpetuating elite”. But what are the statistics clearly showing? Why does Singapore have such an unequal education system, and why does the PAP government want to create such an unequal education system? Note: Chart 1 and 4 have been amended with the relevant statistics. I would like to thank readers for pointing out the changes required. Thank you. Hi Roy, I did my Undergraduate and Master’s Degree in NUS and based on my experience, the tuition rates in NUS were much more affordable than tuition rates in the States. (This was a major consideration in my decision not to pursue my undergraduate degree from a prestigious American college from 2002-2006 even though I was already accepted at that University) Many American University students easily rake up $100,000 USD or more in college debt by the time they graduate with an undergraduate degree. This is not surprising as the annual cost of just the tuition fee alone for American Universities range from and average of $20,000 to $40,000 USD annually. Compared to that, the tuition fees at the National University of Singapore are much more affordable. On a different note, I have to agree with you on your point about foreign students getting more scholarships (and more generous ones too!) from the Universities in Singapore. I was doing my Masters at NUS, I noticed that most of the students on scholarship in the Lee Kwan Yew School of Public Policy were foreign students from the States and other countries like India and The Phillippines. They had full ride tuition, including rent-free housing in really nice apartments opposite the school at College Green. 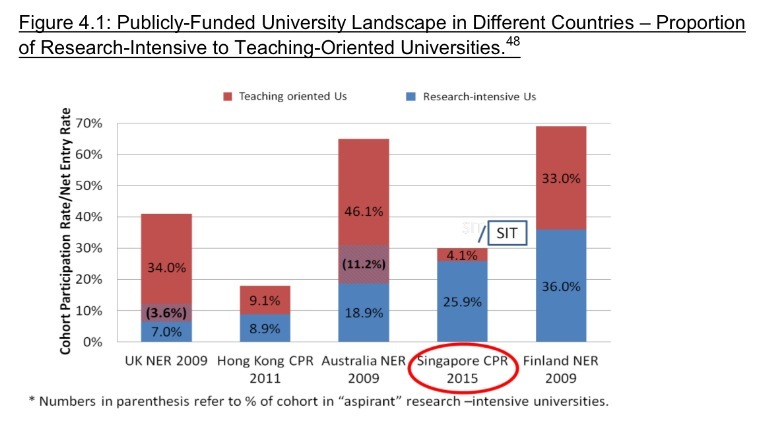 I suppose they do that to attract ‘foreign talent’ and raise the competitiveness and international repute of the University, but it seems pretty lopsided that most of the scholarship holders were foreigners and not Singaporeans. I wonder why this is the case. Part of the problem with Evolution — aside from the fact that it isn’t really very funny — is that it’s mostly jaded; there’s very little gee-whiz, almost no awe. Hi Roy, we’d like to ask for your permission to post this announcement. Hope you don’t mind. 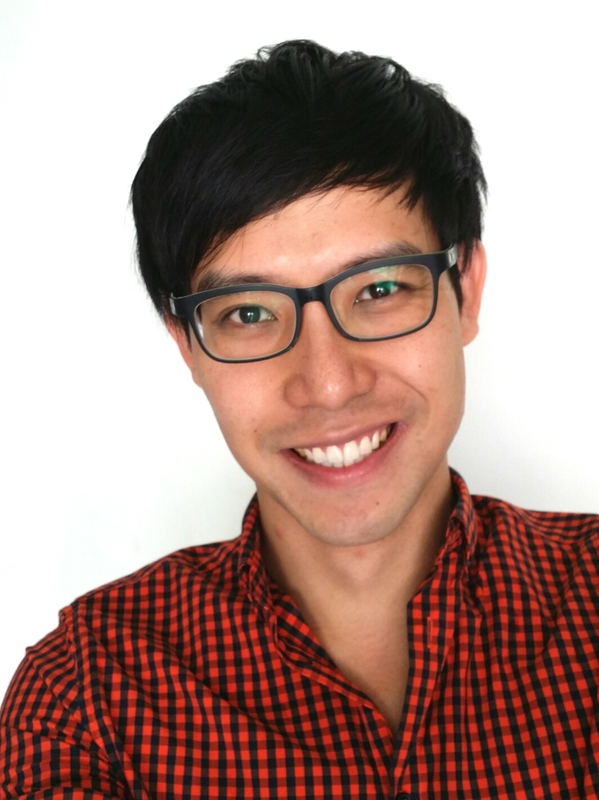 Bitsmedia Singapore will soon be launching a new mobile application to help students, parents and teachers independently arrange for private classes and tuitions. Whether you’re a private teacher looking to better manage and monetise your classes or a parent looking for the best private tuition teachers in Singapore, feel to pre-register here. Hello. While I agree with ur view on scholarships, I think that Singapore has affordable tuition rates. Countries like canada are paying the same or if not more. States are even worse.